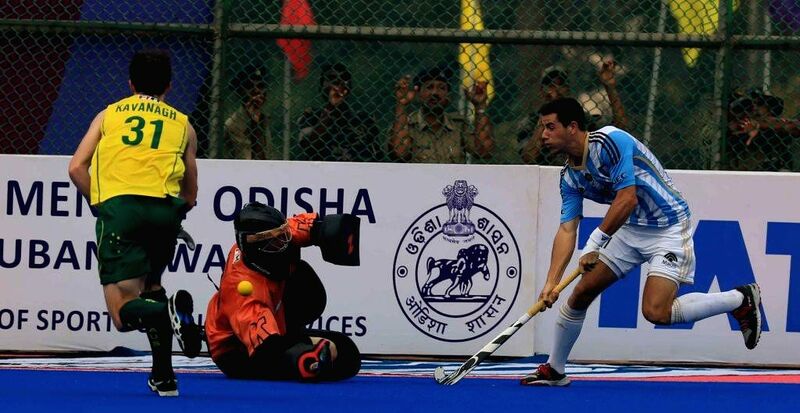 Bhubaneswar: Player in action during a HHCT - 2014 (Hero Hockey Men`s Champions Trophy 2014) match between Australia and Argentina at Kalinga Stadium in Bhubaneswar on Dec 11, 2014. Australia won. 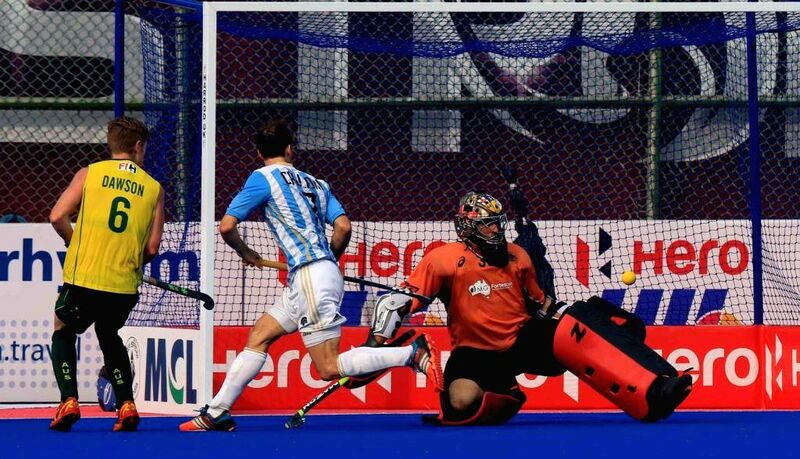 Score: 4-2.